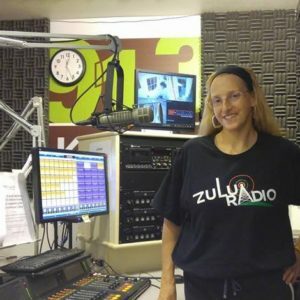 Listen to Zulu Radio on KBCS 91.3 FM (www.kbcs.fm) live every Saturday from 2AM-5AM PST as DJ Mz Music Girl brings 2 hours of real, forward thinking, quality hip hop. No filler, no nonsense, just the good music you’ve been denied of… Until now! With a continuing mission to elevate the culture of Hip Hop, Zulu Radio provides a diverse array of quality and innovative music programming. It is a platform for Hip Hop as a cultural movement to nurture growth within our communities. Broadcasting from Bellevue Community College the show can be heard throughout Bellevue, Seattle, Tacoma, other Greater Puget Sound areas and now across the world on-line! Log onto www.kbcs.fm and click Listen Live. Playlist and Audio Archives HERE. Initiate a forum for community involvement, nurture growth within our communities and to promote independent music. Discuss newsworthy articles that may have not received attention from mainstream media outlets. Provide an outlet for independent and emerging artists to receive airplay and to expose quality Hip Hop, locally and worldwide, to the masses. Educate and spread awareness that Hip Hop is a cultural movement and a way of life. KBCS-FM is a listener supported, non-commercial, community radio station, operated as a public service of Bellevue College. KBCS provides cultural and informational programming and offers media training and broadcast opportunities. KBCS 91.3 FM is the only non-commercial community radio station in the Seattle metro market. We are licensed to Bellevue Community College in Bellevue, Washington. KBCS began broadcasting in February 1973 as a 10 watt, student-run media training center. We increased power to 1,000 watts in the late 1980s and expanded beyond the student body to become a full-time community radio station. Other milestones followed: we increased power to 8,000 watts in 1990; we installed a new omnidirectional antenna in 2001; and we moved into new studios and offices in Factoria in June, 2002. Today, the signal is heard as far east as Fall City in the Cascade foothills, as far south as Tacoma, as far west as Poulsbo on the Kitsap Peninsula and as far north as Everett. Zulu Radio began in 2005 and has featured a lineage of notable DJs and hosts including: King Khazm, WD4D, Gabriel Teodros, Able, Cues, Silver Shadow D, Sensei Lewis, Zeta Barber and Mz Music Girl. For song requests, feedback, questions, comments, or submissions, please email us at: zuluradio@gmail.com. You may also submit radio-freindly mp3’s and drops to zuluradio@gmail.com. All submissions must include Artist Name, Song Name, Album Name, and Label Name.